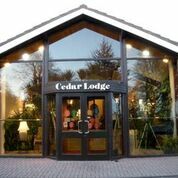 The Cedar Lodge is a 4 star hotel Wexford, incorporating a renowned restaurant recommended by most good Hotel Guides. 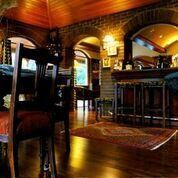 The hotel is a charming Country Hotel and Restaurant situated in a tranquil setting beneath the slopes of historic Carrigbyrne Forest. It is the perfect place to escape the stresses of the modern world. 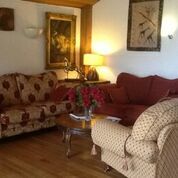 The Cedar Lodge Hotel Wexford is ideally placed for those with a fondness for country pursuits. Recommended by Michelin, Egon Ronay, Good Hotel Guide, the Irish Gourmet and the Hidden Places of Ireland. Our Wexford Hotel is situated less than 15 kilometres from New Ross and just 23 kilometres from Wexford town. The hotel is ideally placed for those with a fondness for outdoor pursuits including walking, fishing, golfing, cycling, horse riding, beaches and much, much more. Wexford is renowned for its history and culture. Many famous people have either lived, visited or been born in the lovely county of Wexford. The former president of the United States, John F. Kennedy visited New Ross in June 1963.